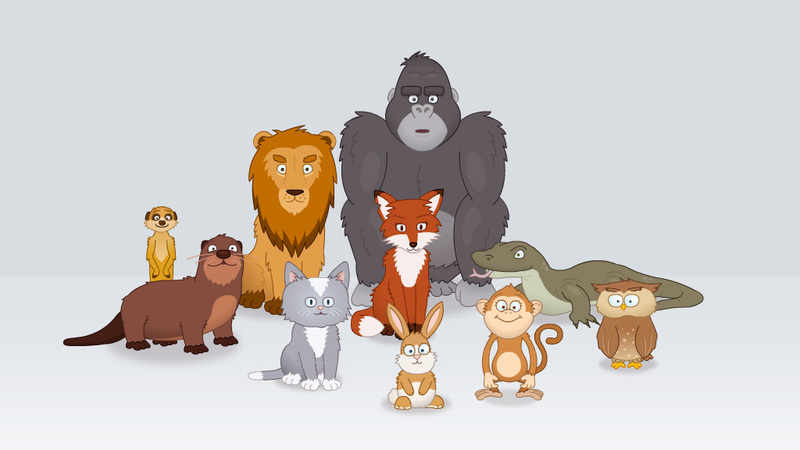 Sumdog Pets Animation & Illustration – I developed 13 ‘tricks’ for each animal, using 2D skeletal animation to bring them to life. As every animal has a different form- custom rigs were required to have them ready for animation. Get Involved and Share the Sumdog Pets Animation & Illustration!